Sit you down and have a laugh, we have egg-cellent news! 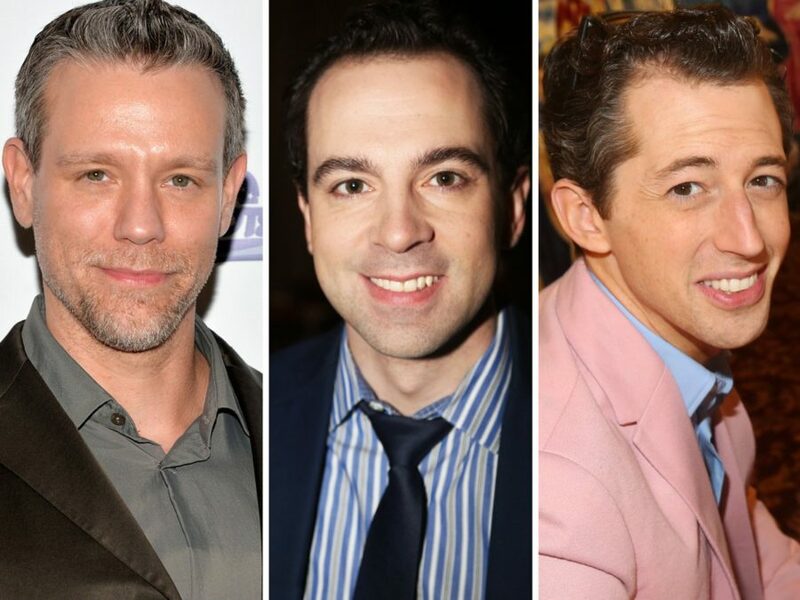 Broadway faves Adam Pascal, Rob McClure and Josh Grisetti will star in the national tour of Something Rotten!. The three stars will reprise the roles they played on Broadway—Pascal as William Shakespeare, McClure as Nick Bottom and Grisetti as Nigel Bottom—when the touring production of the Tony-nominated musical launches on January 17, 2017, at the Boston Opera House in Boston, MA. In addition to Pascal, McClure and Grisetti, the touring cast also features Maggie Lakis as Bea, Blake Hammond as Nostradamus, Autumn Hurlbert as Portia, Scott Cote as Brother Jeremiah and Jeff Brooks as Shylock. Rounding out the Something Rotten! ensemble are Lucy Anders, Kyle Nicholas Anderson, Kate Bailey, Daniel Beeman, Brandon Bieber, Mandie Black, Nick Rashad Burroughs, Ian Campayno, Pierce Cassedy, Eric Coles, Drew Franklin, Juliane Godfrey, Leah Hofmann, Kristie Kerwin, Ralph Meitzler, Patrick John Moran, Joel Newsome, Con O’Shea-Creal and Tonya Thompson. Directed by Casey Nicholaw, Something Rotten! features a score by Wayne Kirkpatrick and Karey Kirkpatrick and a book by Karey Kirkpatrick and John O’Farrell. Set in the 1590s, the show follows brothers Nick and Nigel Bottom, who are desperate to write a hit play but are stuck in the shadow of that Renaissance rockstar known as “The Bard." When a local soothsayer foretells that the future of theater involves singing, dancing and acting at the same time, Nick and Nigel set out to write the world’s very first musical. But amidst the scandalous excitement of opening night, the Bottom Brothers realize that reaching the top means being true to thine own self…and all that jazz. The Broadway production of Something Rotten! received ten 2015 Tony Award nominations, including Best Musical, Best Score, Best Book, Best Direction and Best Choreography. Watch Pascal, McClure and Grisetti discuss why they're excited to lead the Something Rotten! tour in our exclusive video below!